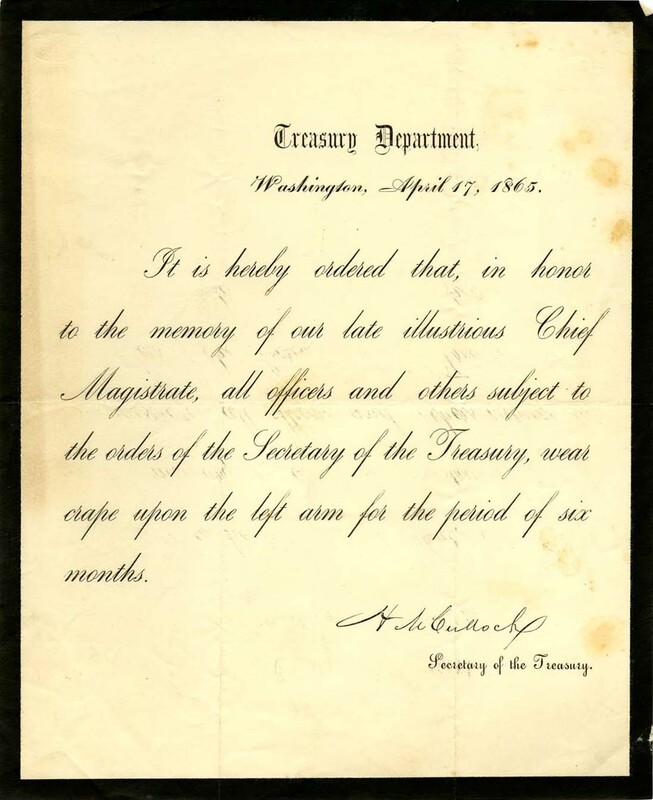 Secretary of the Treasury Hugh McCulloch signed this notice requiring all members of the U.S. Department of the Treasury to wear black crepe bands on their left arm for a period of six months in honor of the memory of President Lincoln. It is hereby ordered that, in honor to the memory of our late illustrious Chief Magistrate, all officers and others subject to the orders of the Secretary of the Treasury, wear crape upon the left arm for the period of six months. 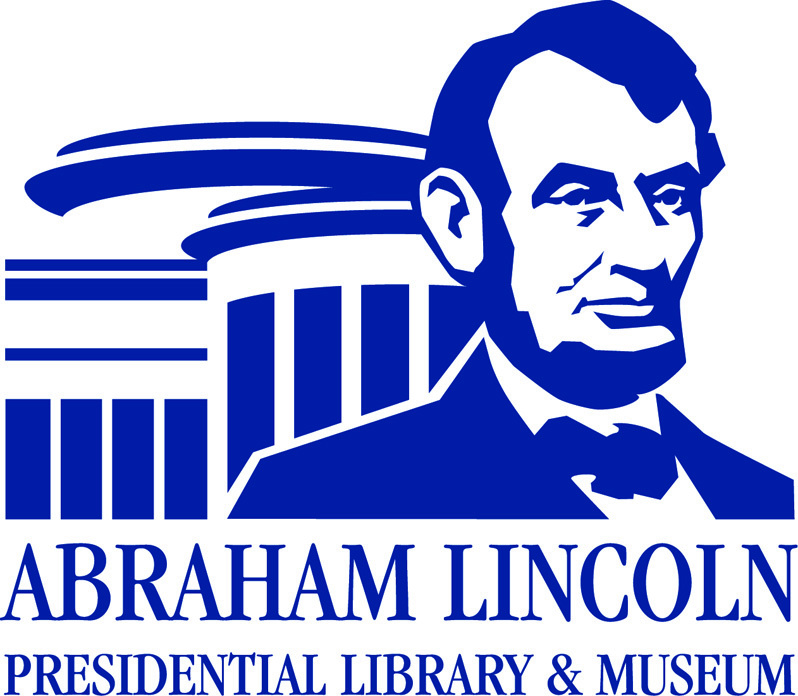 The Abraham Lincoln Presidential Library and Museum holds all right and permissions.